As with most airports, KLIA and KLIA2 are located far from the city centre and suburbs. Getting a cab, especially in the wee hours of the morning, could cost you more. However, there are ways you can keep your airport transportation expense low. Coming from airport to our training centre usually takes about 1 hour to 1.5 hours. You may choose to take a taxi, train or bus towards our training venue. The most convenient way is to hire a taxi from airport straight to our training venue. After you have selected your taxi services at the taxi payment counter, exit Door 4 and then queue up to wait for your taxi. If you take the taxi between 11:30pm to 6:00am, there will be an additional 50% fare surcharge. Coupon Budget Taxi – Inform the peron in charge at the counter of your destination, which is (Platinum Walk, Taman Danau Kota, Setapak), a coupon will be issued to you after the payment. Proceed to Door 4 to exit, line up, and wait your turn for the Budget Taxi. When the red coloured taxi arrives, pass the coupon to the taxi driver and he will drive you to your destination. A typical trip will cost about RM84.30 for a Budget taxi. 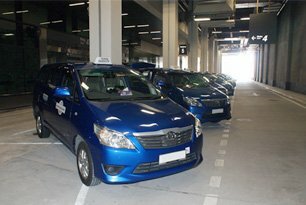 Coupon Premier Taxi – These are the ‘Blue’ taxis that are more expensive if compared to the budget ones, generally costing you almost double the amount of a normal price budget taxi. These taxis are slightly bigger than the common ones and they are always available. A typical trip will cost about RM118.70 for a Premiere Taxi, or RM 233.50 for an even larger Family Taxi. Metered Taxi – Proceed to the metered taxi counter and buy a coupon for RM2.00. Exit from Door 4 and wait in line for the ‘metered taxi’. Pass the coupon to the taxi driver and the taxi meter will start running from KLIA2 to your destination. The taxi meter MUST be run when you board the taxi. Your final taxi fare is based on what’s displayed on the taxi meter monitor plus the toll charges, if any. 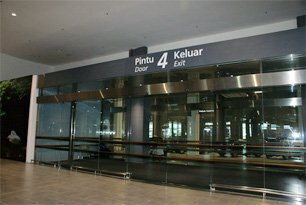 Part 2: then travel from KL Sentral to our training centre at Platinum Walk, Setapak. KLIA Ekspres is a non-stop airport rail link service in Kuala Lumpur, Malaysia, linking Kuala Lumpur Sentral (KL Sentral) with Kuala Lumpur International Airport (KLIA). The service is one of the two services on the Express Rail Link (ERL), sharing the same tracks with KLIA Transit which stops at all stations along the line. The service is run by Express Rail Link Sdn. Bhd. which began its operations on 14 April 2002. Why spend all your money on your airport transfer when you can keep the money for great food in Malaysia? There are many bus services from the airport that are cheaper than all of the above options. Taking the bus to the airport is undoubtedly the cheapest option but it also requires you to plan ahead as the travel time is the longest among all of the transportations available. The estimated travel time is around one hour, depending on traffic.However, if you need to catch a flight in the middle of the night, this may not be the best option as the bus services are not run 24 hours. The highest bus fare to KLIA is RM32 per person. If you are travelling in a group of three, that would come up to RM96. That’s still cheaper than any of the options above, except for driving there on your own. 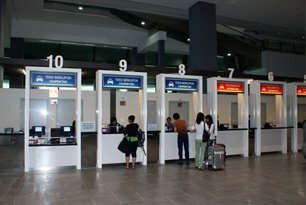 However, if no one is able to drive you there, the parking cost of leaving your car at the airport would have been more expensive than all your bus fare combined.If the schedule of the bus coincides with your flight time, this is definitely the cheapest option for you to get to the airport. There are many factors to consider when you are deciding which transport to use to go to the airport. Are you in a rush? How light or heavy you travel would also play a role in limiting your options. If you are travelling with many luggage, you may even be forced to grab more than one taxi or a larger vehicle (which cost more) to accommodate you and your travelling companions’ suitcases.Of course, the more flexible you are, the more options you have to consider. Sometimes, paying more just to get the comfort of a car arriving at your doorstep to pick you up, anytime you want, may just be worth it. 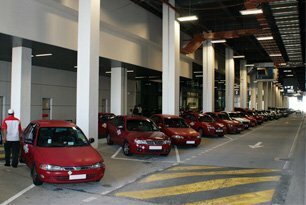 Take a taxi from KL Sentral directly to our training venue. Hail a taxi right at the exit of Wangsa Maju LRT Station. Just tell the taxi driver to go to “Platinum Walk”, or “the shop lots next to Setapak Central Mall”. GrabCar is an app-based car-with-driver service that allows you to request for a car on your smartphone. Currently this service is only available within the Klang Valley and KL city centre including Setapak area. GrabCar does not charge a midnight surcharge, hence it is perfect for those who have to catch a red-eye flight. However, the app does not allow pre-booking. So, if your flight is in the crack of dawn, you may have to risk it by only requesting for an Uber at the time you are supposed to leave for the airport. It is also on a fixed rate basis, where the fare is calculated based on the distance between the pick-up and drop-off points entered and the estimated travel time.Using KL Sentral as the starting point, here’s how much it cost to take a GrabCar to KLIA/KLIA2:[table id=382 /]Based on the average rate, GrabCar offer a slightly more expensive fare compared to uberX by RM18. However, if you would like a little bit luxury, GrabCar+ is still cheaper than UberBlack by RM26.Unlike Uber, GrabCar allows both cash and credit card payment, which is perfect for those who live on cold hard cash. It’s undeniable that car sharing apps like Uber has made our lives so much easier. The travel time on an Uber is the same as taking a GrabCar, and would incur the same toll charges if the Uber driver uses the same expressways.However, similar to GrabCar, it doesn’t allow pre-booking, hence, it is advisable only if you stay in an area where there are abundance of Uber drivers.Here’s the breakdown of the cost, depending on which type of Uber you choose:[table id=383 /]Looks kind of steep? If you are sharing the ride with one or two other people, this could still be a comfortable and affordable option. The best part of this is, you won’t be charged a midnight surcharge if your flight is after midnight, and you get picked up right from your doorstep! Driving or taking any of the road transport can be risky, especially if you are traveling during peak hours. The traffic can totally throw off your travel time, and you really don’t want to risk missing your flight.The most popular and convenient option you can consider is taking the KLIA Ekspres. Here’s the latest fee schedule for KLIA Ekspres. You can get a 10% discount if you purchase the ticket online. Here is how much you need to fork out for KLIA Ekspres based on the number of people you are travelling with. If you travel light, alone and also in a rush to catch your flight, KLIA Ekspres is no doubt your saviour. If you are travelling in a group and time is on your side, KLIA Ekspres can be quite steep. Perhaps it is worth the money to skip the traffic congestion during peak hours. A return fare from KL Sentral to KLIA/KLIA2 is the same as KLIA Ekspres, but the travel time is longer at 39 minutes to KLIA2. 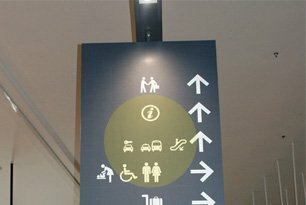 If you are leaving from KL Sentral to either of the airports, it will make more sense to take the KLIA Ekspress.However, if you are leaving from any of the three stops (Bandar Tasik Selatan, Putrajaya & Cyberjaya, and Salak Tinggi), it will be more cost efficient to take the KLIA Transit.Here is the total travel cost per person (adult and child) for return (two-way) transportation:[table id=387 /]You can get a 10% discount if you purchase your ticket at the self-service kiosk, or if you regularly travel to the airport, you can opt for the KLIA Transit TravelCard with a one-month validity. It costs between RM60 and RM420, depending on the stops. If you have the privilege of being chauffeured by your friend or family member to the airport, it will definitely be the most comfortable and yet affordable option. Nothing beats sitting in your own car (or the car of someone you know), playing the music that you love, and chit chatting all the way to the destination.But how much does it really cost to drive to the airport and back?Let’s take the example of a 1.5 litre car with fuel efficiency of 7.0 litre per 100km, here’s how much it will cost and how long it will take:[table id=388 /]According to the TravelSmarter website, it takes about 47 to 49 minutes to get to KLIA and KLIA2 respectively. Of course, the travel time for driving really depends on the traffic condition. It might take longer than one hour to get there if traffic is not in your favour. Taking the bus to the airport is undoubtedly the cheapest option but it also requires you to plan ahead as the travel time is the longest among all of the transportations available. The estimated travel time is around one hour, depending on traffic.However, if you need to catch a flight in the middle of the night, this may not be the best option as the bus services are not run 24 hours. Here is the schedule of all the bus services to both KLIA and KLIA2. The highest bus fare to KLIA is RM32 per person. If you are travelling in a group of three, that would come up to RM96. That’s still cheaper than any of the options above, except for driving there on your own. However, if no one is able to drive you there, the parking cost of leaving your car at the airport would have been more expensive than all your bus fare combined.If the schedule of the bus coincides with your flight time, this is definitely the cheapest option for you to get to the airport. 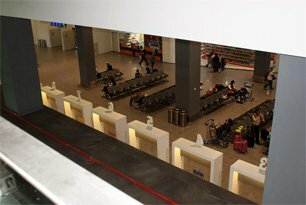 There are many factors to consider when you are deciding which transport to use to go to the airport. Are you in a rush? How light or heavy you travel would also play a role in limiting your options. If you are travelling with many luggage, you may even be forced to grab more than one taxi or a larger vehicle (which cost more) to accommodate you and your travelling companions’ suitcases.Of course, the more flexible you are, the more options you have to consider. Sometimes, paying more just to get the comfort of a car arriving at your doorstep to pick you up, anytime you want, may just be worth it. Note: Calculation for distance, travel time and toll for the driving to the airport option is based on the TravelSmarter calculator. ^ Duration by road (driving, Uber, taxi) varies according to traffic condition. The above examples assume the route of MEX Highway & ELITE Highway. The post The Cheapest Ways To Get To KLIA & KLIA2 appeared first on iMoney Malaysia.